One thing vehicle drivers here in Alaska hate is the cold weather beating down on their cars. This is even worse if you are in charge of a fleet of vehicles. Day to day business is hard enough, but ensuring your drivers are safe and their vehicles can perform means heading to the right place, and that place is University Chevron. Our fleet services are second to none, and we work hard to ensure you have as little downtime as possible. Space, equipment, and knowledge are all needed to keep a fleet of vehicles serviced, we have all that and more. 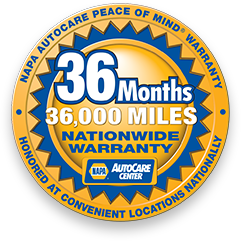 Keep your customers happy and drivers safe with dependable fleet service from ASE Certified technicians with over 38 years of experience. Call us, stop by, or schedule an appointment online today.